Disposable, single use device that slides onto any saliva ejector for hands-free suction, without additional attachments. Ideal for scaling & root planing, ultrasonic scaling, sealants. Holds suction tip in place. Protects and retracts the cheek. 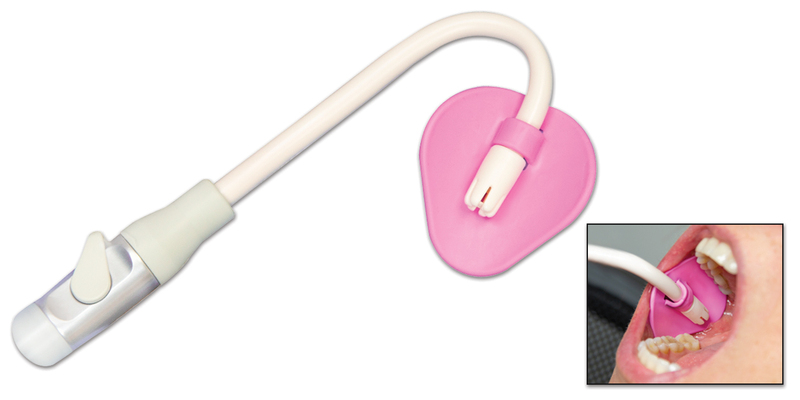 Patient can easily close around suction.